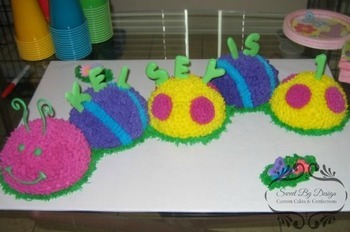 My name is Melisa, and I am the owner, baker, designer, and all around 'one woman show' of Sweet By Design Cakes. Sweet By Design is a cottage bakery operating by appointment only in Melissa, Texas and serving the entire Dallas / Fort Worth Metroplex. ​I am so grateful for the gifts, talents, and opportunities that I have been blessed with. I started taking cake decorating classes several years ago because I wanted to make my daughter’s 1st birthday cake. Through practicing for this singular goal, I found my passion. I gained a small clientele and decided to continue my education in the culinary world by enrolling in the Pastry Arts program at Collin College. That was 8 years ago, and the mixer has been running ever since! Without the support and assistance from my husband Brandon (Gig 'em! ), Sweet By Design would not be possible. We have two children, my little BITs (bakers-in-training), who enjoy helping test new cake flavors between homeschooling lessons. Sweet By Design is a home bakery operating under, and meeting all the requirements of, the current Texas Cottage Food laws. Because this is a home bakery, I only take a limited number of orders each week. We are small, and that is a good thing for both my family and my clients. ​Special occasion cakes are typically ordered to celebrate the transition into a new season of life; two people become one, a new life entering the world, children moving towards adulthood. My goal is to provide you with a personalized, centerpiece dessert worthy of your celebration, and my prayer for each of my clients is that not only will your event be blessed, but that the life events surrounding your celebration would be blessed as well. Complete the form below, and Melisa will get back with you by the next business day. Please remember to check your spam or junk folder if you do not see a response - our messages will come via sweetbydesigncakes@gmail.com or mailman@honeybook.com. Also note that orders may not be placed through this form as more information will be required to complete your order. Note that we are fully booked for the remainder of 2018. Please check our Availability Calendar to confirm if your date is open.